Blinds4UK offers a Free Swatch Sample service that lets you touch and compare your selected choice of fabrics, materials and/or colours for your custom window covering. We always recommend you order a free sample before placing your order so you can be completely sure that the colour, and pattern where appropriate, will perfectly suit your interior décor. You can order up to 7 free samples per order! We currently allow one order per day for a maximum of 7 samples but should you require in excess of the 7 samples then give us a call and we will be happy to send you more. free of charge..
Free Swatch Samples - are currently available for many of the products on our site and we are working hard to make even more available. 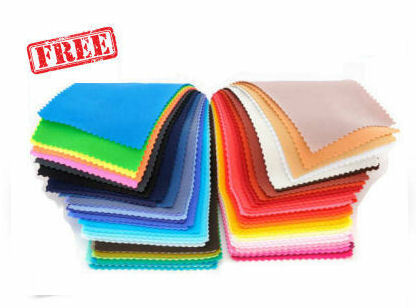 Ordering Free Samples - To request free samples, simply click the "Order Free Sample" button beneath the swatch image of your choice and proceed to checkout and register. Delivery of Samples - Standard delivery for swatches is free and orders are usually dispatched within 24 hours using the Royal Mail 1st class delivery service. Due to the inconsistencies of various computer monitors, the colours displayed on your screen may not depict an accurate reproduction of the actual swatch colour. We colour correct each scan as accurately as possible but we cannot warrant they are accurate. If you are in any doubt as to the precise nature of the product or fabric you may wish to order you are advised to order a free sample. In addition to the above considerations we would suggest that you order all of your blinds of a given colour at the same time.